Just because PopCap has a sequel on the way doesn't mean it plans to forget about the critically acclaimed original. 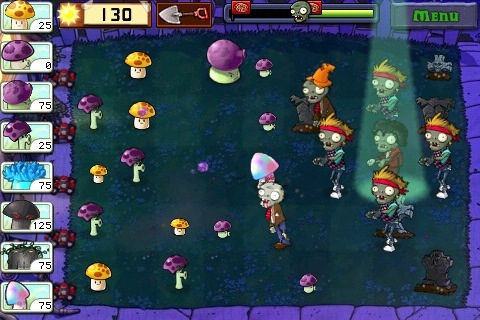 It's been a while since we fired up Plants vs. Zombies for iPhone and iPad. Thankfully, PopCap gave us a great reason to play it again with today's Version 1.9.5 update. The undead downloadable content introduces the all-new Endless mode that challenges players to outlast those pesky zombies using limited amounts of sunlight. On top of that, they'll enjoy Retina display support for the new iPad, as well as new achievements and other cool features. Full list below. Greetings zombie fighters. The zombies have invaded en masse and the fiends have denied you the use of Sunflowers! Can you battle through 4 levels of zombie hordes using a limited amount of sun and prevail in a desperate last stand? Should you succeed, an even tougher challenge awaits you with Last Stand Endless. Grab the new Hammer Time, Still Standing and Stuff of Legends achievements while you're at it. And try out some powerful new mallets to give those pesky Gargantuars a good whacking! Make Your Stand: The Last Stand Game Pack (100,000 coins for in-app purchase of $0.99) features 5 new levels, plus Last Stand Endless mode that provides an exciting new variant of the game's classic Endless mode. Achieve Greatness: Unlock 3 new achievements: Hammer Time, Still Standing and The Stuff of Legends, which bring the game's total achievements to 48 for iPad and 47 for iPhone. As Smart as a Bag of Hammers: Pick up a new Mallet Pack to help whack zombies in Survival and Last Stand Endless modes. Check out Crazy Dave's Shop for more details. Full Retina Display Support for iPad: Enjoy sharp, crisp graphics that enhance the playing experience for iPad.